Achieved knowledge: You have learned about some of the most important factors in room acoustics that may affect the sound recording. Reverberation – The time it takes the sound to die after the sound source has stopped. “A dry room” has a short reverberation time and “a wet room” has a long reverberation time. Depending on the use of a room an optimal reverberation time exist. A control room is typical below 0.4 sec. A concert hall for symphonic music typically around 2.2 sec. Sound insulation – The sound reduction from one room to another. Good insulation is obtained by using heavy materials and by avoiding/minimizing building parts in each room to have rigid connections. Absorption – In acoustics a property of a material. Absorbing material converts sound energy. The absorption of a given material varies with frequency. Some materials have a high absorption at high frequencies, other at low frequencies or perhaps at medium frequencies. Reflections – Hard and thus not absorbing, surfaces reflect sound. Reflections are the reason for reverberation. In large rooms, the reflections may provide sound distribution and the perception of spaciousness. Strong single reflections can, however, result in colouration of the sound. 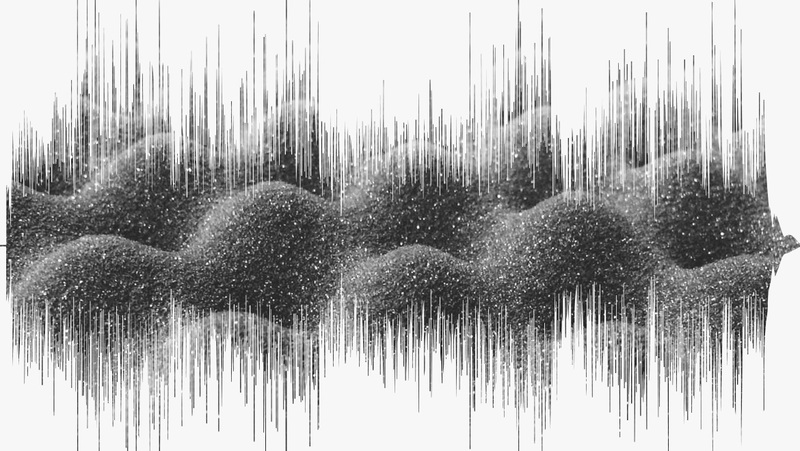 Diffusion/scattering – The spread of reflected sound. Absorption or diffusion can remove reflections. However, in contrast to absorption, diffusion keeps the sound energy in the room. Standing waves – Waves that fit into the room dimensions can affect the distribution of the sound. All rooms have standing waves. Room size – The room size influences the sound of your recording. Larger rooms also have higher reverberation time. Too small rooms like speak-boxes may sound too boxy. Background noise – The unwanted noise from installations, outdoor traffic, etc. In good rooms for audio, this noise should be kept as low as possible. Mechanical vibrations – Mechanical vibrations may eventually end up as sound in the microphone. This is why it is recommended to apply mechanical damping of microphones. Headphones – Important tool in many forms of audio production. The sound level should never be so high that the microphone catches it. The way the sound decays in a room is very significant for acoustical recording. Reverberation can affect the recording in both good and bad ways. The reverberation time is important. Reverberation time is the time it takes the sound to 'die out' after the sound source has stopped – in technical terms: the time it takes the sound to decay by 60 dB. This audio sample demonstrates reverberation time. The same gun is fired in five different rooms. Each shot repeated once. For speech and vocal recordings, the reverberation time must be short ( 'dead' room). In the control room, the reverberation time must be relatively short. In the recording room for music, it is the genre that determines the optimum value. Impulse response in a room (wave form of a bursting balloon), all the individual reflections can be seen. The signal above has been converted to level (now the reading is in dB). Vocal booth 0.1 – 0.2 Don't make it too small. A small box always sounds like a small box and has trouble in the low end (boominess). Control room 0.2 – 0.3 If you want to play acoustical instruments in your control room the reverberation can be slightly longer. Living room 0.4 – 0.5 If your living room only has five speakers and a wooden chair the reverb time is presumably above this reference. Lecture room 0.6 – 0.9 Provides level to the speech but keeps intelligible. Cinema 0.7 – 1.0 Must provide a fair reproduction of the audio. Rock’n roll (smaller venues) 0.6 - 1.6 Linear relation. Room sizes from 1.000 m3 to 10.000 m3. Opera approx 1.6 The reverberation must sustain the singing but still retain some degree of intelligibility. Concerthall for classical music 1.8 – 2.2 May vary with size of hall and music genre. The amount of absorption is calculated from the absorption coefficient of each type of material in the room times the area [square meters, m2] of that material. Calculating rooms for audio, this is done in all the frequency bands of interest. 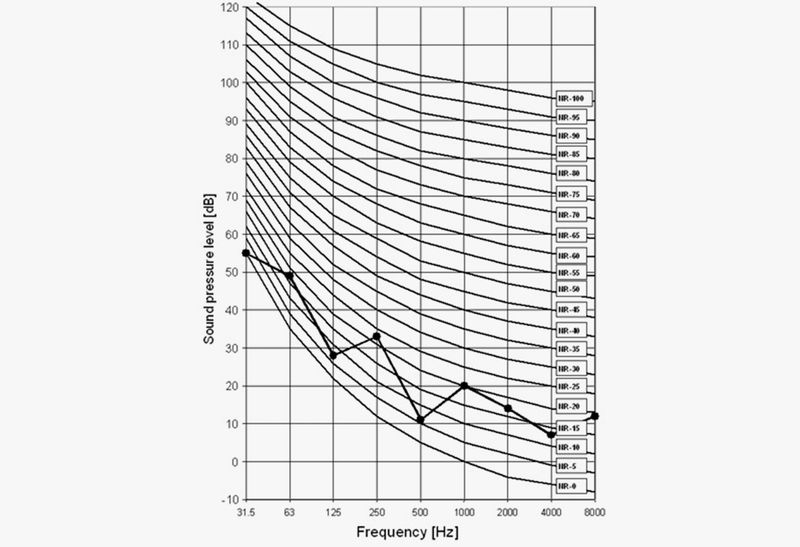 Typically in octave bands from 63 Hz to 8 kHz or in 1/3 octave bands from 50 Hz to 10 kHz. It is the volume of the room and the total amount of sound absorption that defines the reverberation time. (See the section about absorption below). It is worth knowing that the porous types of sound absorbing materials are very efficient – in the high end of the frequency range. This is why it is important to have lots of low-frequency absorption (membranes) to obtain a neutral reverberation throughout the complete frequency range. Sound insulation is the property that keeps the sound from moving from one room to another. The only way to obtain efficient sound insulation is in principal by having airtight rooms with heavy walls and floor/ceiling. If the insulation to a neighboring room has to be very efficient, there should be no fixed connection between the two rooms. Typically, this means that each room is built as a separate box isolated from the common foundation. The effect of a screen/gobo/baffle in the recording room is dependent on the size of the screen. To prevent low frequencies from moving around the screen it must be extremely large. In practice, it is easier to build a closed room. Sometimes bad sound insulation may result in vibrations of the floor (or stage). To ensure no sound pickup through the microphone body, microphones on stands must be properly suspended in a shock mount to avoid any problems. This audio sample demonstrates the sound from one room (first part of the recording) received in a neighboring room (second part of the recording). Please note that the second part has been amplified by 20 dB for better comparison of the sound spectra. Sound insulation at low frequencies can only be achieved by placing the sound source in a separate room. If heavy insulation is needed the rooms should have separate walls, each built up with three layers of gypsum board or the like. The floor must be floating. At higher frequencies (i.e., above 300 – 400 Hz), some separation can be obtained by the use of acoustic screens. However, this has only a limited efficiency. However, in the case of separating music instruments from each other in a recording room or onstage, a screen will prevent direct sound from reaching the microphones of neighboring instruments. We use sound absorbing materials when we want to control the acoustics, i.e., the reverberation time. 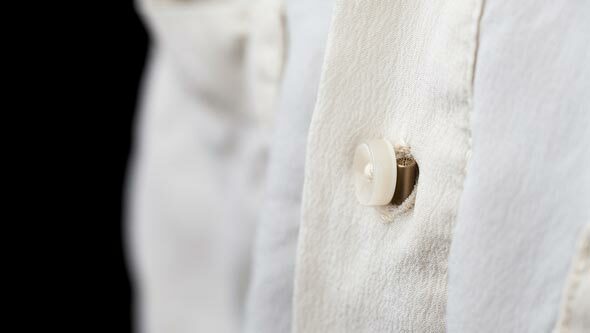 We just have to be aware of the fact that different materials absorb at various parts of the frequency range. Technically we have absorption coefficients between 0.00 (no absorption, like a hard concrete surface; all sound is reflected) and 1.00 (like an open window; the sound leaves and never comes back). In general, porous absorbers (foam, cloth, mineral wool, polyester fiber, etc.) absorb frequencies in the high range and are very efficient at that with absorption coefficients above 0.7. If, however, the porous absorbers are placed at a distance (25 to 30 cm) from a hard surface (wall or ceiling) they will provide absorption down to 100 Hz. Resonance absorbers (perforated plates, slitted walls, etc.) are efficient absorbers in the midrange (200 Hz to 5 kHz). Resonance absorber and generic absorption curve. First it is a question of defining the frequency range in which you need absorption, i.e., in the part of the frequency range where the reverberation time is too long. Then choose the type of absorption that treats you right. Remember that no matter how fancy the absorption material looks it is all about physics, so be sure to get a spec sheet when you buy the stuff. Single reflections are bad. If the microphone picks up the direct sound along with one single reflection, this will cause comb filtering, which yields peaks and cancelations throughout the frequency range. Therefore, single reflections must always be avoided. In the control room, vertical reflections (off the desktop or the ceiling) normally cause coloration in the comb filter style. However, horizontal reflections often are less audible. Still, single strong reflections should be avoided. In the recording studio or the concert hall, multiple reflections are part of the diffuse sound field that makes the sound enveloping and enables the whole instrument to be heard. Reverberation can be regarded as an infinite number of reflections. 1. Put sound absorption material on reflecting faces. 2. Place a diffusing device at the point of reflection. 3. 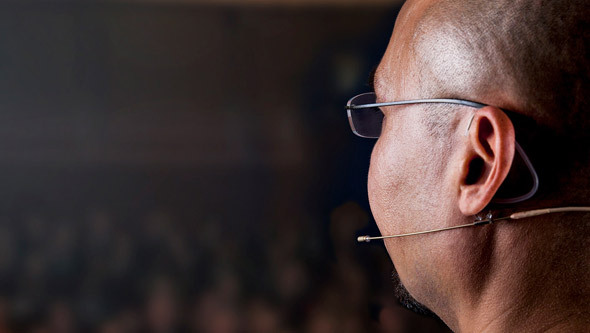 Redirect the reflection so it does not hit the ear or the microphone. 4. In the recording, it may be necessary to use the boundary layer microphone principle or point the dead end of the directional microphone toward the reflected sound. Diffusion or scattering is obtained by the use of diffusers or simply by the different equipment and furniture in the room. When the sound hits the surface, it is reflected in different directions. The physical elements must have a size related to the wavelength of the sound that has to be diffused. This is why bass diffusers are seldom seen. To remove reflections that disturb a stereo image, the diffuser should be effective in the frequency range above, say, 600 to 800 Hz. It should be noted that efficient diffusers also show some sound absorption. The absorption coefficient can be in the range of 0.2 in the diffusers’ active frequency range. 1. Much equipment and furniture normally provide good diffusion. 2. Bookshelves filled with books are efficient (and have a broadband absorption as well). 3. Diffusers (Schroeder types) can spread the incoming sound, either vertically, horizontally or both. This audio sample demonstrates a difference between a sound that is reflected on a hard, flat surface to that of sound reflected on a more diffusing surface. A loudspeaker is placed in front of a glass window and a diffuser respectively. The sound is recorded halfway between loudspeaker and glass or diffuser. Please note that diffusers are reflective and generally frequency dependant. This is why the sum of the direct sound and the diffused sound still has a coloration. In the free space, the sound travels freely in all directions. In a room, when the sound hits the boundaries, it is reflected back into the room. Eventually, the sound can travel back and forth between the same two parallel faces, between corners, etc. The physical wavelength of the low frequencies is comparable to the dimensions of the room, especially the smaller rooms. An interesting – but seldom very pleasant – phenomenon is what we call standing waves. When a given wavelength fits into the room dimensions, it results in large variations of sound pressure depending on where you listen (or record) in the room. At the boundary of the room, the sound pressure has a maximum – strongest in the corners. In other positions in the room, the same frequency may appear 20 to 30 dB softer. Imagine a loudspeaker standing close to a wall. This sound source (the loudspeaker) generates a sound. The sound radiates away from the speaker hits the opposite wall and returns to the sound source. If it arrives at the exact time when the loudspeaker is generating the next period of that given frequency, the old and the new wave are in phase. Both waves travel along to the opposite wall. Here they are reflected, return to the speaker and meet the third period, etc. The wavelength of the lowest frequency of a standing wave between two parallel walls equals twice the distance. Example: The distance between two walls is 2.5 meters. The speed of sound is 340 m/s. The double distance is 5 meters. The smaller the room, the larger the influence it has on recorded and reproduced sound. Small speak boxes are the worst. However, in small control rooms or project studios the low-frequency response of the monitor speakers is influenced. Standing waves exist in all rooms but can be controlled to be of less annoyance. This audio sample demonstrates the sound field in the middle of a room compared to the sound field in the corner (close to the floor) of that same room. Please notice that the low frequencies are boosted when recorded in the corner. The size of a room has an influence on many acoustic parameters. Larger room volume generally means longer reverberation time. However, when establishing control rooms and studios, be sure to have enough space to begin with, especially the room height is important. When designing the sound insulation, adding the ideal absorbing materials, placing the gear, etc, you may end up with too little space for your activities. The dimensions of the room determine the frequency of the standing waves. The distance to the reflecting surfaces always leaves an acoustic footprint. A small room will always sound like a small room unless you use close miking. Rooms for rehearsals must have a size that leave a possibility for a reasonable layout. If you are dealing with rooms for the concert, for theater plays, etc, consider the audience as a part of the absorption of the room. If the volume is too small, the reverberation time will depend too much on the size of the audience. It is better to start with a room that is too big than with a room that is too small. Rooms with low ceilings are not preferred for recording and monitoring. Consider the number of people that has to be in the room (studio, control room, rehearsal room, the venue for music, etc) and make sure space is sufficient. The background noise in the studio can be a problem as it can make recordings muddy. If compression is added to the signal, it may become even worse. The noise can be fans and computer hard drives, it can be HVAC noise, it can come from neighboring rooms or it can be traffic noise. In a broadcast from news studios, the noise often stems from the editorial office. In the design of different room types, there are certain practices regarding noise from installations: NR-15 / NC-15 (SPL approximately SPL20 dB(A)) or NR20 / NC-20 (SPL approximately 25 dB(A)) depending on what the room is used for. An example of NR curves with 1/1 octave band noise measurements plotted on top. The result of the measurement is the lowest curve not exceeded by measured values (= NR-25). Mechanical vibrations in building parts result in audible sound. If a microphone stand is placed on a vibration floor, it may generate sound in the microphone. Also rattling of loose mechanical parts in a room will result in problems. This audio sample demonstrates the effect of using a proper shock mount for microphones. 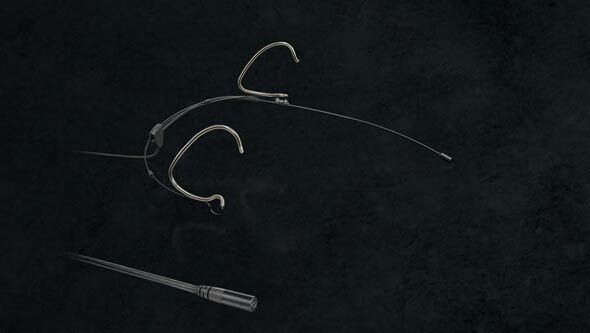 A d:dicate™ 4017 B Shotgun Microphone is mounted on a microphone stand using three different fixtures. The recording engineer is kicking the legs of the stand. In each case the “stand kicking” is recorded without and with the 4017B low cut on. 1. Use elastic microphone suspension to avoid vibrations from entering the microphone. 2. The resonance of the elastic system must be below the lowest frequency recorded. 3. Low resonance frequency: Heavy mass, soft suspension. Headphones are practical in many ways. They can separate you from the sound sources around you. 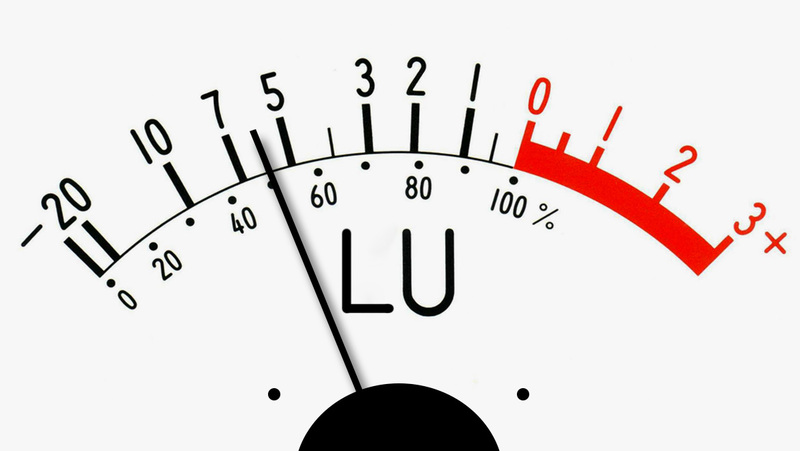 However, take care that the level they reproduce is not too high (a calibrated headphone level should be preferred). Be sure there is no leak from the headphone to the microphone. If the headphone is used for personal monitoring or foldback, the headphone signal must be in phase with the microphone signal. 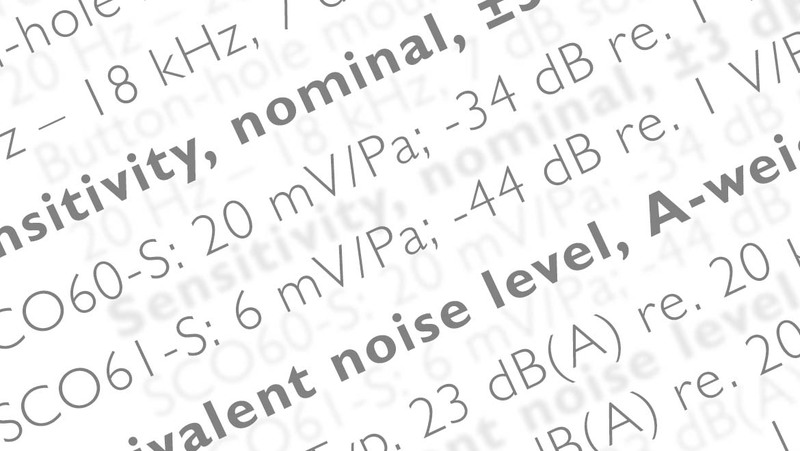 When you read microphone specifications, it is extremely important that you understand how to interpret them. In most cases the specifications can be measured or calculated in many different ways. This article is designed to help evaluate specifications in a meaningful way.